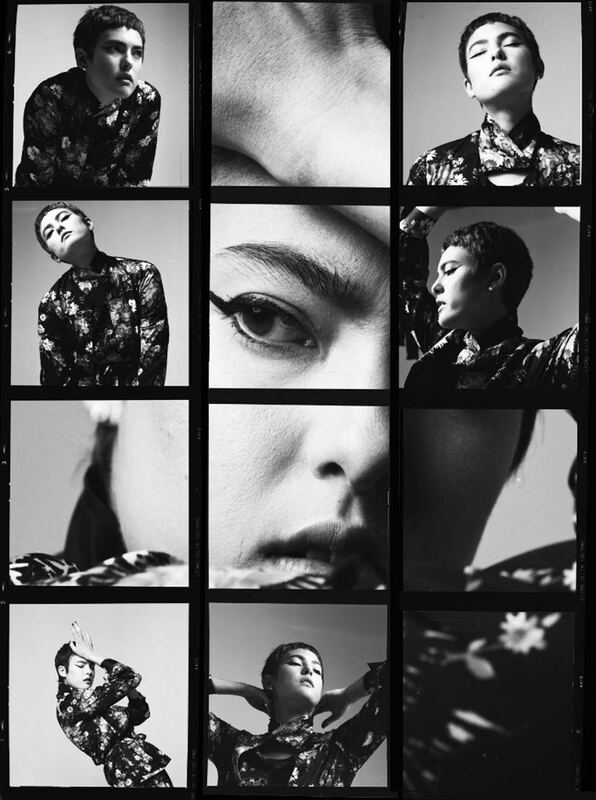 LA’s Miya Folick debuted a new track this week entitled ‘Stock Image’ along with a video directed by Bryan Schlam. A throbbing pop rush embodying the catharsis of self-doubt and wanting to break free from the constraints of artifice placed on you by society and reinforced the image-obsession of social media: “‘Stock Image’ is the conversation you have with yourself when you’re feeling lost and your colour has faded,” says Folick. “When you’re too focused on inhabiting a certain image and then suddenly you realise your insides are empty, that you’re just a frame. I wrote it from a place of feeling shallow and grey and wanting to feel Full! Deep! Vibrant! I hope it makes you feel lush and coloured in.” Redolent of elements of early Lorde only less self-conscious, this evocative track unfurls into a heart swelling and inspiring chorus that embodies self-empowerment, ‘Stock Image’ is an anthem for individuality Folick’s effortless vocal pirouettes with a bravery and heart of Eurythmics or elements of the work of Kate Bush, it actually moved me, its divine. A rare find and rarer still for the way the video complements the song. Novo Amor (New Love in Portuguese) is Ali Lacey (who’s Welsh), and he will release his debut album Birthplace on October 18th. This is the title track from it. The poignant video could not have been released at a more apposite moment with plastic waste floating in the oceans, seas and rivers killing marine life very much in the news. I’m no eco-warrior but it disturbed me. The human character, representing ‘humanity’, is Michael Board, a renowned free-diver, who made 250 dives during the shoot. He must have lungs of graphene. Let’s hope we don’t start throwing that stuff into the water as well. The Gothenburg duo Wildhart (Ylva Holmdahl and Kiwi Berg) caught my attention with the single ‘New Beginning’ a track that was featured in Nordic Music Scene last month and which, like ‘Every Touch’ is included on their new EP Caught in a Fisheye, released on 29th June. Featuring a fellow Swede, Nadia Nair, ‘Every Touch’ is a more experimental piece, which successfully pairs abrasive synths with soothing strings and Ylva Holmdahl’s attention-grabbing vocals. Holmdahl describes the song as being about “a moment you want to freeze – and stay inside forever.” I’m not sure what that means but I’m happy to listen to the track until the message hits home. The strings contribution came from former Wildhart member Josefin Runsteen. Scottish singer-songwriter Lilura returns with ‘Feel Love’ the follow-up to last year’s debut single. This time around, she’s been inspired by Tove Lo, Banks, and The Weeknd, and as such has created something really special. It starts off unassumingly and slowly creeps up on you. Before you know it, it has swept you up and swallowed you.